National President of Nigeria Union of Journalists (NUJ) Comrade Christopher Isiguzo has described the Tertiary Education Trust Fund (TETFund) as the saving grace of public tertiary institutions in Nigeria, promising the support of the Union to the intervention activities of the Fund. The NUJ President who spoke when he visited the Executive Secretary of TETFund, Dr. Abdullahi Bichi Baffa in Abuja stated that without the intervention efforts of TETFund, most of the institutions would have no physical infrastructure to carry out any meaningful learning and teaching activities. Comrade Isiguzo expressed delight in the relationship between TETFund and members of the Media, which is seen in the constant positive reportage of the events of the agency, urging the Executive Secretary to continue as it is the right thing to do. He used the occasion to solicit for a more robust partnership between the TETFund and NUJ, noting that since coming into office as the NUJ President, the Union has floated its own official publication called ‘The Defender Magazine’ which will be managed by professionals that are guided by the core ethics of journalism. Urging TETFund to sustain its tempo for developments in all beneficiary institutions, the NUJ President said that the mandate of the Fund was apt and that the leadership brought to bear in the day to day running of the agency by Dr. Baffa was commendable and should be sustained. “The Defender Magazine is our own voice, we don’t want to rely on other medium for own stories or showing what we are doing or even in pointing out those doing well. The Magazine will be available and have wide reach. We call on TETFund to partner with the NUJ not only through the Magazine but other areas and we assure TETFund of the support of the Union in all its activities” he added. In his response, the Executive Secretary, Dr. Abdullahi Bichi Baffa thanked the NUJ President and his team for the visit, describing the Union as a very strategic and major stakeholder in all the activities of the Fund. Dr. Baffa who described the hand of fellowship extended to TETFund by the NUJ as a welcome development, noted that TETFund was among the first to congratulate the NUJ and Comrade Isiguzo immediately the election of the Union took place last year. The TETFund boss while stating that the Fund does not take for granted such overtures, especially those who take time to visit the Fund and give words of encouragement, promised that the agency will ensure that the cordial and mutual beneficial relationship is made stronger. Stating that he sees all journalists as partners in progress as well as intellectuals, Dr. Baffa said the efforts journalists put into getting details and facts for publication is akin to the rigours academics go through in their research work and teaching. 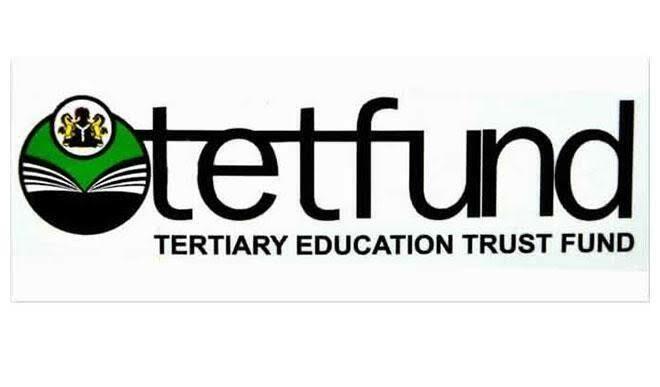 Promising that TETFund will not relent in its duties of working for the development of tertiary institutions in Nigeria, the TETFund boss recalled that only last week, he addressed a Press Conference on the activities and achievements of TETFund for the Year 2018 and that it was well covered and reported. He explained that during the media event, TETFund was able to inform all stakeholders of the achievements of TETFund, adding that about 93.5% improvement was achieved in the area of beneficiary institutions accessing their allocations from TETFund. This, he attributed to the novelty introduction of Access Clinic and Budget Defence sessions which opened up the processes of TETFund and helped beneficiary institutions to know how to easily access their allocations, as well as the sensitization exercise and his open door policy. The NUJ President was accompanied by the Secretary General of NUJ, Comrade Shuaibu Liman and other officials of the NUJ, while the Director Public Affairs Department of TETFund joined the Executive Secretary in receiving the visitors.